Eugene V. Debs, the charismatic leader of the American Railway Union, and George Pullman, the inventor and industrialist with a reputation for paternalism in the model town he built for his factories and employees, were the chief antagonists of the great Pullman Boycott/Strike of 1894. I have written about each man and the strike and its aftermath. Check out this account of the strike if you are interested in details. Each man is viewed as a hero to some and the incarnation of evil to other. 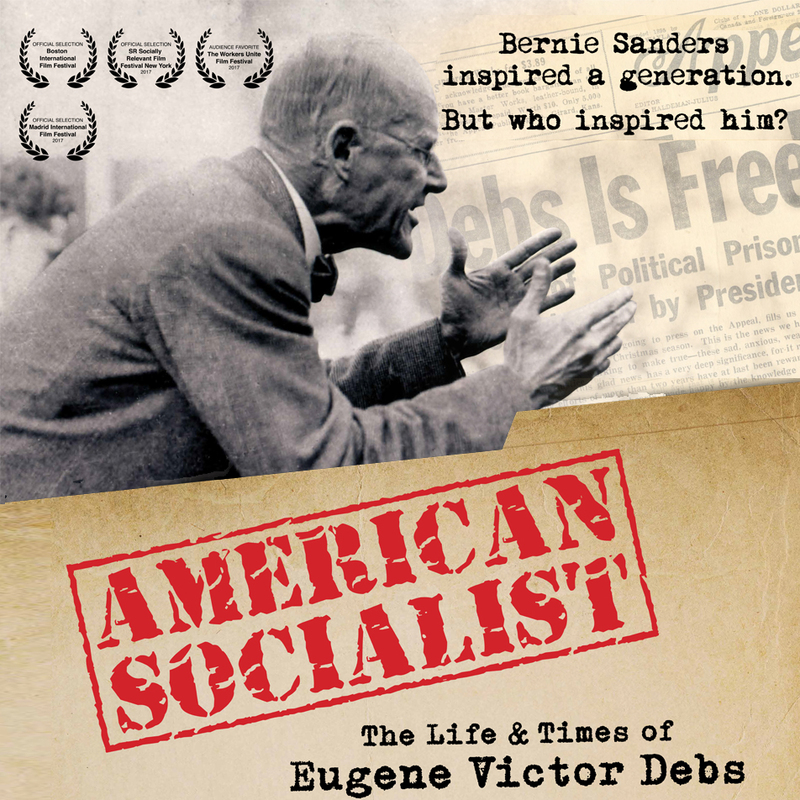 Debs is lionized by the labor movement and the American left. Through Bernie Sanders’ presidential campaign in 2016 a whole new generation of activists came to admire the Senator’s inspiration as a Socialist. On the other hand the right wing demonizes his militant unionism, avowed socialism, and fervent opposition to the America’s entrance in World War I.
C. J. Martello will portray George Pullman at Stage Left. 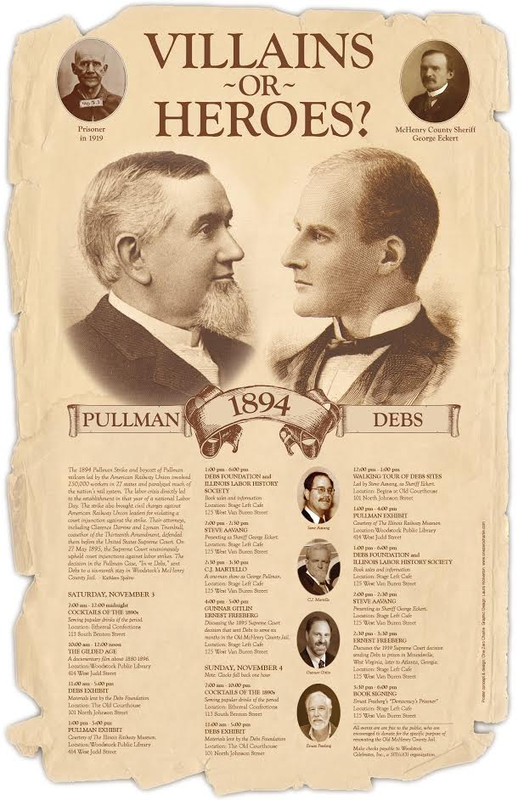 Pullman is held up as an up-by-the-boot-strap success story who built one of the most successful industrial companies of the late 19th Century, his Pullman Palace Car Company as well as for the model town he developed, and his charity. His resistance to “tyrannical and violent” labor is seen by many as a heroic stand. But labor and social historians believe that the mask of benevolence toward his employees was stripped away at the slightest challenge and that he waged class war with the energy and enthusiasm of the worst of the Robber Barons. Although a famous Universalist in his day, he is an embracement to modern Unitarian Universalists who usually omit his name in the lists of famous Unitarians and Universalists they are so fond of creating. The lives and accomplishments of both men will be the focus of a two-day event in Woodstock, Illinois this Saturday and Sunday, November 3 and 4 presented by Woodstock Celebrates. Villains or Heroes—Debs and Pullman is a follow up to a years of programs and events leading up to the dedication of a historical marker on the old McHenry County Jail building last year. Debs and the Executive Board of the ARU were held in the jail following their conviction of interfering with the mail after the strike was crushed by brute military force. 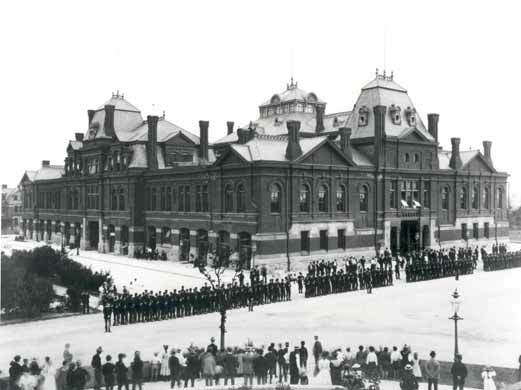 Pullman strikers were confronted by the Illinois National Guard outside the Arcade Building in the town of Pullman. This year a busy schedule of events will fill both days. 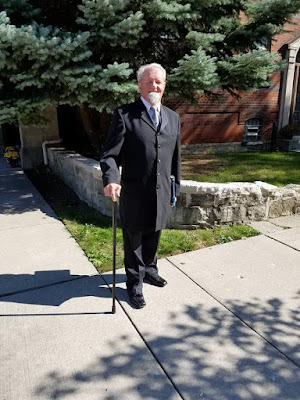 On Saturday morning at 10, the Woodstock Public Library, 424 Judd Street will show The Gilded Age, a recent documentary about the 1880-1896 social-industrial crisis. On Sunday morning at noon, local historian Steve Aavang will guide a walking tour of Woodstock sites associated with Debs and his jailer/friend, Sheriff George Eckert. Ernest Freeberg, author of Democracy's Prisoner. Speakers on Debs and Pullman will present at Stage Left next to the Woodstock Opera House on the Square from 2 to 5 PM on both days, and the venue will host a signing by Ernest Freeberg of his book Democracy’s Prisoner which focus on Debs’ opposition to the Great War and his prosecution for a 1918 anti-war speech in Canton, Ohio which resulted in a long sentence at the Atlanta Federal Penitentiary. 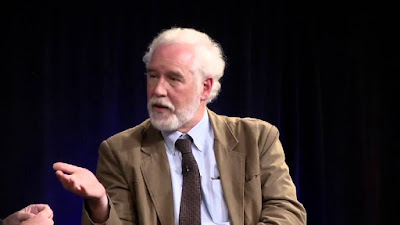 That case is considered a landmark in the fight for civil liberties in the U.S.
Also appearing at Stage left will be Aavang speaking on the unique relationship between Sheriff Eckert and Debs during and after the jail sentence and C. J. Martello portraying George Pullman. Local attorney Gunter Gitlin will join Freeberg for a special discussion of the civil liberties implication of Debs’ 1919 conviction. 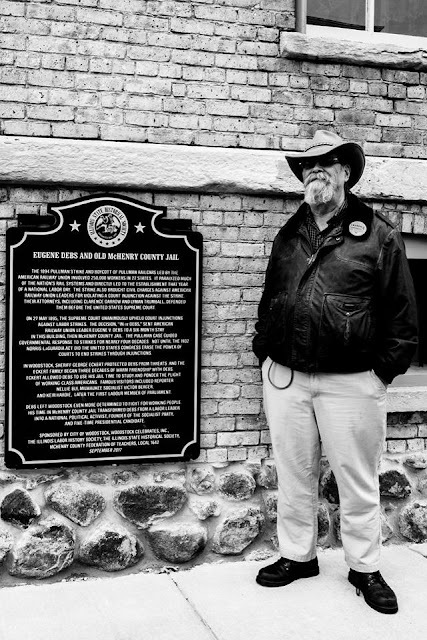 The Old Man by the Debs historical maker on the Old McHenry County Jail in a recent photo by Bill Delaney. On both Saturday and Sunday, the Old McHenry County Court House will items from the Debs Foundation museum in Terre Haute, Indiana from 11 am to 5 pm, and the library will showcase Pullman material from the Illinois Railway Museum in Union, Illinois from 1 pm to closing. All day on both days, Ethereal Confections, 113 South Benton Street will offer cocktails popular in the 1890s through 1919. Not officially part of the festival, Classic Cinema Woodstock Theater, 209 Main Street, will show the 2027 documentary American Socialist: The Life and Times of Eugene Victor Debs on Monday, November 5 at 1 and 7 pm. All events are on or near Woodstock Square and within easy walking distance and are free to the public. Voluntary donations are encouraged to support the preservation and renovating Old McHenry County Jail.